VietNamNet Bridge - Several coal thermal power plants are expected to be built in the Mekong Delta under the 2011-2020 plan for national power development. What are the options for energy development in Vietnam? Under the national plan, 15 power plants would be built in the areas along Hau River, from Can Tho City to Hau Giang province and the seaport between Soc Trang and Tra Vinh provinces. There would also be thermal power plants in Long An province (Long An I and Long An II with capacity of 1200 MW for each) and one plant in Bac Lieu (1200 MW). Ca Mau I and Ca Mau II would be built in Ca Mau province as a part of the gas-power-fertilizer complex with expected capacity of 750 MW when burning gas and 669.8 MW when burning DO. Several coal thermal power plants are expected to be built in the Mekong Delta under the 2011-2020 plan for national power development. What are the options for energy development in Vietnam? If all the projects are implemented, Mekong Delta will become a region with a high density of thermal power plants by 2030. 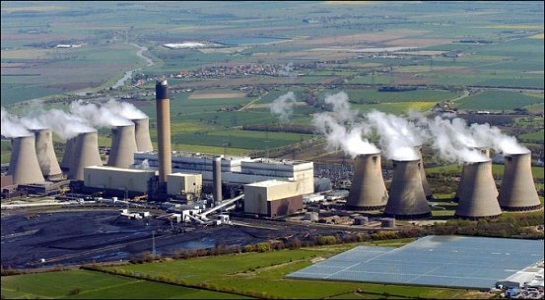 Most of the plants would run with coal, which, according to GreenID, an environmental organization, pollutes the air more than other fossil fuels. Since Mekong Delta is a key economic zone in the south, experts believe that it is necessary to consider pros and cons when developing so many thermal power plants. Mekong Delta does not consume much power because it focuses on agriculture and aquaculture. Locals are mostly farmers who have low income, while 70 percent of the population is in rural areas. The land area is created by alluvial deposition and has weak soil structure. Therefore, it will be costly to build foundations for heavy-industry plants on land area with weak geological structure as it would require a large volume of sand and rocks. The cost is expected to be much higher than the cost for site clearance if the plants are built in other localities with firmer geological structure. Meanwhile, the seventh power development plan does not mention the assessments of geological conditions in the area. GreenID has also expressed its concern about the building of the plants near the sea, warning about the high risk of erosion. When building Duyen Hai 1 thermopower Plant in Tra Vinh province, the investors had to absorb 26 million cubic meters of sand from the seaside to build the foundation of the plant. This action, plus the effects of climate change, has worsened landslides in the coastal area of Tra Vinh. As a result, the provincial authorities have had to spend hundreds of billions of dong to build embankments to prevent erosion. But this is just a temporary solution.